NEW BOAZ!!! STEEL CITY VIDEO!! CHECK OUT BOAZ'S NEW VIDEO FOR THE SONG "STEEL CITY"! THIS JOINT IS A BANGER! ALSO STOP THROUGH TIMEBOMB MARCH 17TH TO PICK UP YOUR COPY OF BOAZ'S FIRST EVER SOLO CD "THE AUDIO BIOGRAPHY". DON'T FORGET TO LOOK OUT FOR THE COLLECTORS EDITION "BOAZ GIFT BOXES". ONLY ON SALE AT TIMEBOMB. KEEP UP THE GOOD WORK BO! NEW G-SHOCK SPRING DROPS IN NOW !!! AS ALWAYS AND EXPECTED: TIMEBOMB IS HERE NOT ONLY TO KEEP YOUR SHIRTS AND SHOES FRESH, BUT TO MAKE SURE YOUR ACCESSORIES ARE SWAVEN' ALSO. THIS RUN AROUND WE'VE HIT YOU WITH MORE THEN 10 OF THIS SEASONS G-SHOCK WATCHES. THESE WATCHES ARE HOTTT SO GRAB ONE WHILE YOU CAN! THE G-SHOCK CLASSIC IN WHITE WITH TEAL FACE AND PURPLE TRIM. ONCE AGAIN CHANGING UP THE CLASSIC LOOK OF THE CLASSIC, G-SHOCK HIT IT HARD WITH THIS ONE. G-SHOCK CLASSICS AVAILABLE IN BLACK/GREEN, PINK, WHITE, BLACK/RED, BLACK/ORANGE AND MORE!!! WE ALSO CARRY LIMITED EDITION DROPS! NOT ONLY DURABLE BUT SLEEK AND STEALTH! THE EARLY BIRD GETS THE WORM...OR...THE NEWEST HOTTEST WATCH ON THE BLOCK! 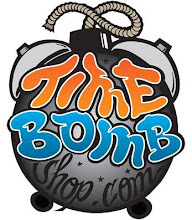 STOP THROUGH TIMEBOMB FOR YOUR G-SHOCK WATCH TODAY! NEW DJ SHEF KING OF DA KITCHEN VOL 2 OUT NOW ! 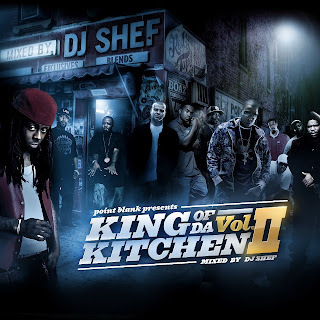 THE NEW DJ SHEF MIXTAPE "KING OF THE KITCHEN 2" MAKES ITS RETURN TO THE STREETS IN A HOTT WAY. LOADED WITH 26 TRACKS OF GREAT MIXES AND SICK BLENDS. A FEW OF OUR PERSONAL FAVORITE TRACKS ON THE MIXTAPE ARE NUMBER 1. 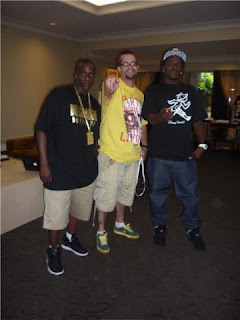 (BOAZ FT. SHEEK LOUCH - LARIMER TO YONKERS), NUMBER 17 (BOAZ FT. SEAN PRICE - COMIN FOR MY BANK) AND NUMBER 25 (T.I.- SWING YOUR RAG/SHEFS OUT THE WINDOW BLEND) IT IS OBVIOUS, AND CLEARLY SHOWS ON THIS MIXTAPE THAT THE TALENT IN PITTSBURGH HAS BEEN WORKING HARD. BIG UPS TO SHEF AND ALL THOSE ON THE MIXTAPE FOR MAKING IT A GOOD ONE. COME THROUGH TIMEBOMB TO GRAB YOUR OWN COPY OF DJ SHEF'S NEW MIXTAPE "KING OF THE KITCHEN 2"
New Play Cloths Drop Friday the 13!! Don't miss out this Friday February 13 here at Timebomb. Yes, it's true. The new Play Cloths is dropping their Spring 2009 collection. It's rapid progression is quite impressive considering the only launched in December 08'. The Clipse owned brand is switching it up a bit- Expect an extensive line of cut & sew goods with a lineup of jackets, hooded sweatshirts, button-downs, and cardigans. 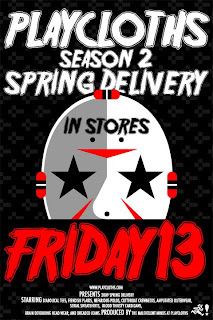 The new line is banging and is sure to fly off the rack so dont miss out! Big shout out to the Supebowl xl111 Champs the Pittsburgh Steelers !!!! Thanks for the great season !